Online marketplace eBay has unveiled a new logo ahead of a website redesign to make the site a “more contemporary and consistent experience”. The new look, which will roll out during the third quarter of the year, features innovation to make buying and selling easier and a heavier focus on mobile. 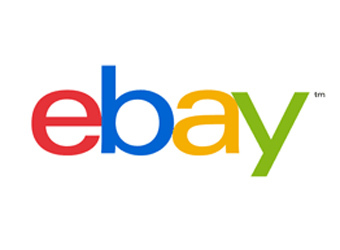 The new logo aims to reflect eBay’s “connected and diverse eBay community”, by retaining the old colour palette. President at eBay, Devin Wenig, said the new look is rooted in eBay’s proud history and reflects a dynamic future. “It’s eBay today: a global online marketplace that offers a cleaner, more contemporary and consistent experience, with innovation that makes buying and selling easier and more enjoyable,” Wenig wrote in a statement. While auction listings, used goods, vintage items and quirky, one-of-a-kind finds will remain an important part of the business, most items sold on eBay are now new, fixed price goods. The site currently has more than 100 million active users and 25 million sellers globally. It expects over $10 billion in volume to come via mobile this year and is turning its attention to focus on the mobile more heavily. eBay launched in September 1995, started by connecting a seller with a buyer who wanted a broken laser pointer.